Oral & Maxillofacial Associates of Oklahoma offers treatment for facial injuries and trauma in Oklahoma City, Norman, Midwest City, and Edmond, OK. To schedule an appointment call 405-848-7994 (Oklahoma City), 405-292-8900 (Norman), 405-733-4296 (Midwest City), or 405-341-4022 (Edmond). Traumatic facial and dental injuries can happen to people of all ages, but they are particularly common in children. Approximately 25 percent of school age children experience facial or dental trauma, and 33 percent of all Americans have at least one trauma by the age of 19. 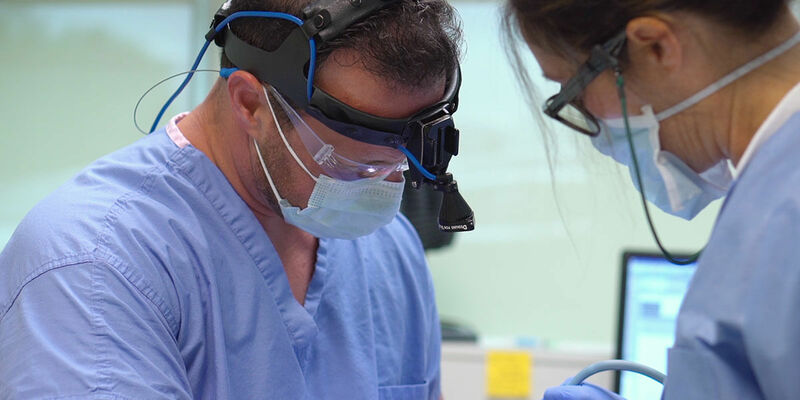 At Oral & Maxillofacial Associates of Oklahoma, our board-certified oral and maxillofacial surgeons are uniquely qualified to diagnose and treat all types of facial injuries and trauma. Age: The very young and the very old are more likely to experience a fall, and they are more likely to take physical damage from any sort of traumatic event. Lip or Tongue Piercings: Lip and tongue piercings make damage more likely when the teeth and oral structures sustain force. However, there are steps you can take to minimize the risks, so talk to your dentist about your piercings. Malocclusion: If your teeth protrude, they have less protection from the surrounding oral structures. This makes them more likely to take damage under force. Contact Sports: Participation in contact sports is the single biggest risk factor for facial and dental trauma across all age groups. Ask your dentist about a custom mouthguard, which is the best way to reduce, though not eliminate, this risk. If you or your child sustain facial or dental trauma, every minute counts, especially if a tooth was knocked out. Pick up the tooth by the chewing surfaces, avoiding the roots. Rinse the tooth under running water and submerge it in a glass of milk. Apply direct pressure to minimize bleeding and head directly to our office. Reattachment is most successful in the first 30 minutes, but it is worth trying to save the tooth even after an hour or more. The same basic guidelines apply for other types of traumatic injuries. Check for life-threatening injuries including neck or spinal fractures. Stop the bleeding, clear the airway, and seek treatment immediately. Facial and dental trauma is scary, but most cases respond well to prompt treatment. Call our office at 405-848-7994 (Oklahoma City), 405-292-8900 (Norman), 405-733-4296 (Midwest City), or 405-341-4022 (Edmond) to schedule your initial consultation.